Garage Sale Season has started. 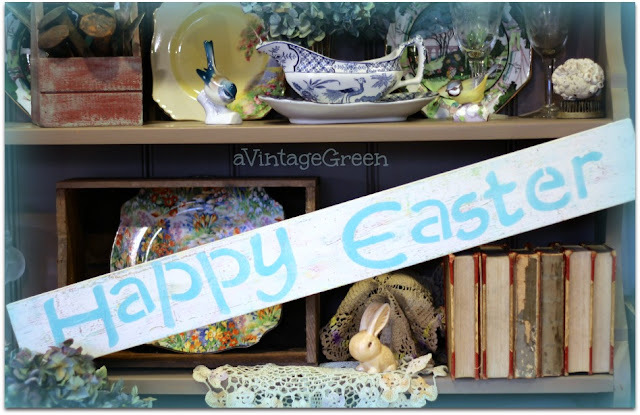 I am adding a second Thrift Sharing post in April while the season is good. My new header is 'all about' April's Garage Sale finds so I put the 'header' into this post since I am always changing my headers. The plum tree was blossoming last week so I added a small branch with blossoms along with some salt and peppers and a green pitcher. glassware and a pretty vintage plate. You likely guessed I used my home made light booth for most of the photos plus PicMonkey for editing. I love their Colors--Neutral Picker for making whites look white. Love your finds and the photos. I need to make a small photo box!! Great finds!. I just returned from a week of "junking" and am so anxious to get all of my finds photographed. Looks like garage sale season is being good to you so far! I love that blue bowl. You always find such great stuff. You always find such treasures! I love the shape of the green ends on the rolling pin. Beautiful photography. :Love the treasures you found - especially the white pitcher. 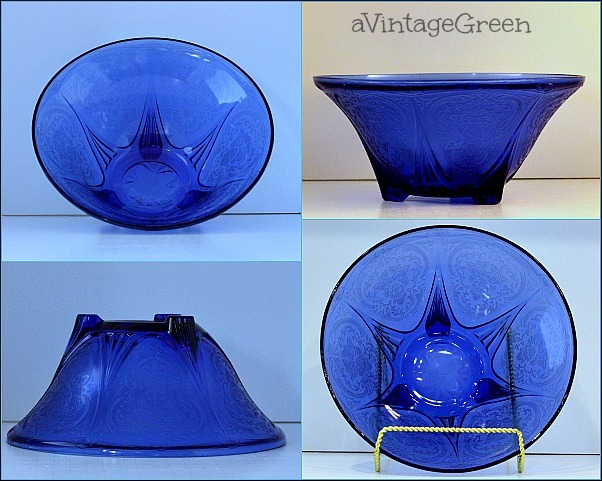 The blue depression glass is gorgeous! I ahve not seen much of that color before in glass. Happy Blue Monday! I love glass art, and I love cobalt blue, and I love Depression glass! I've never seen a bowl like this. Thanks for playing today. Ooh, I love that blue bowl. It's just gorgeous. That vintage plate is very nice also. Great finds! The blues are such a delight. The bowls and the dish. You were lucky to find such nice things. 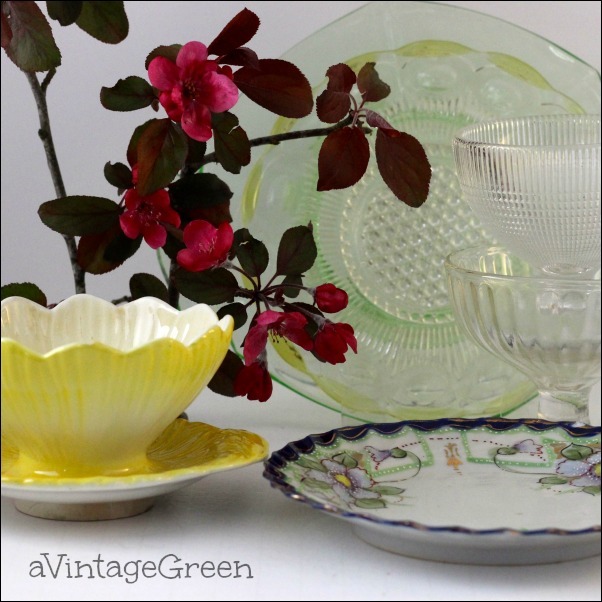 Guess I pick the wrong side of town for great finds..
A great collection this week, the blue depression glass bowl is gorgeous! I love depression glass and have never seen it in this blue...lovely. How fun it is to come across things like this that make our heart sing. Joy ... your finds are so well displayed and photographed. I know you enjoy using the light booth. The blue depression bowl is beautiful. You are off to a good start with your Spring 2015 thrift shopping. Enjoyed seeing all you new treasures. Great finds! Love the white pitcher and the clear glass sherbert bowls! Visiting via Bella Rosa Antique's party today. What a precious blue share. Such a unique and lovely share. enjoy your week. Three cheers for garage sale season! :) Thank you for sharing your pretty new treasures with Roses of Inspiration - it's always a joy to have you at the party. Hugs! Oh my, that blue glass is GORGEOUS! Such pretty pieces and a then a monkey wrench in the mix. A little practicality in the midst of all the beauty. I love this post and it really brightened my day Joy! Pinned and shared! Great finds! Love the blue depression glass, so pretty! Depression glass has always been a favorite of mine since my Grandma collected it. 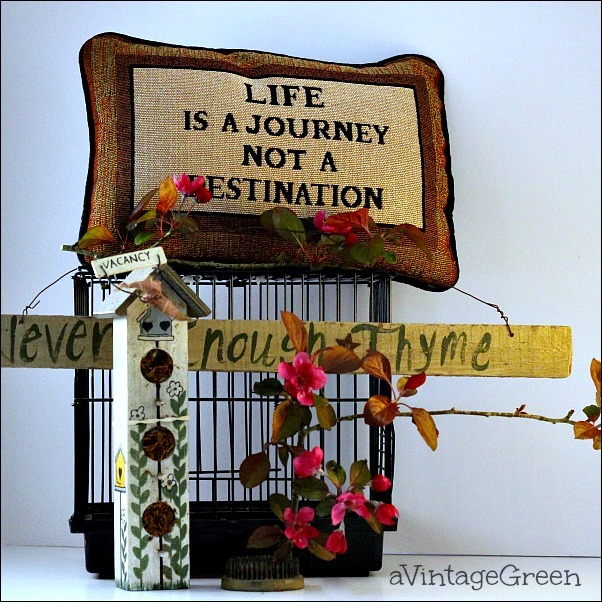 Thanks for sharing your finds on Small Victories Sunday link up. Joy, you found some wonderful things. 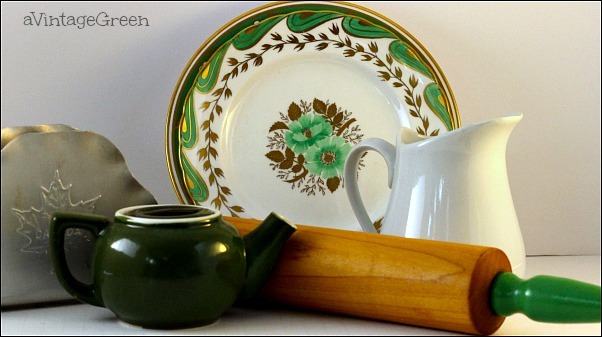 Love the green handled rolling pin and all of the other wonderful dishware in the photo! Thanks for sharing with SYC. I like to say that there are actually 5 seasons, we must not forget Garage Sale Season! It has rained every Sat. for the past few weeks but that doesn't stop us from going thrifting! Stopping by from What's on the List.